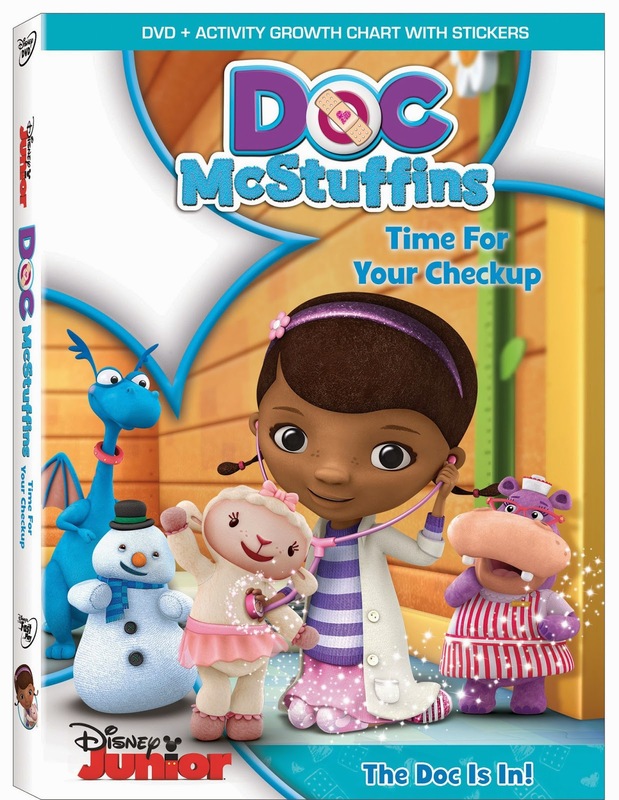 “Doc McStuffins: Time for Your Check Up!,” the second DVD compilation for Disney Junior’s hit animated TV series “Doc McStuffins,” will debut May 7, 2013. A must-add to the family viewing collection, the DVD comes packaged with 5 fun-filled episodes and a FREE growth chart. 2012's #1 cable TV series in Kids 2-5, "Doc McStuffins" tells the story of a nurturing six-year-old girl who heals stuffed animals and broken toys out of her backyard playhouse clinic. Assisting Doc at the clinic are her trusty team of lovable stuffed animals including: Stuffy, an overly proud dragon; Lambie, her cuddly best friend lamb; Hallie, a jolly and caring hippo nurse; and Chilly, a snowman who spends a lot of time getting check-ups at the clinic. Whether it's a case of loose stitching, low batteries or a blow-up toy who has sprung a leak, Doc and her pals are always there to lend a helping hand, while imparting to young viewers the importance of taking care of oneself and others. This has got to be one of the cutest shows ever! When this show premiered on Disney Junior I think I was more excited then my kiddos. Not only is this show filled with adorable characters, bright colors and catchy tunes, but it's also filled with teaching kids about sharing and helping out others. Which is very important and a show all kids will enjoy. My daughter is almost eight and she loves Doc McStuffins. Now that we have the DVD this has been her favorite show to watch before heading to bed. My kids and I are huge fans of the Doc and I often catch myself singing, "Time for your checkup, Time for your checkup" when I'm the only one at home, lol. In fact I now have that song stuck in my head. I'm excited to offer our readers a chance to win their very own copy of the second installment of this series. It includes five awesome full episodes along with a growth chart that I'm sure your little ones would love. Don't want to wait for the giveaway? This DVD is now out in stores for you to purchase $19.99 in the US and $24.99 here in Canada. Good luck to all of the readers entering and if you already have the DVD I hope you're enjoying the show as much as we have been. Below are some free printables you can print out for your little(s) one to enjoy! Disclosure: All opinions are my own. 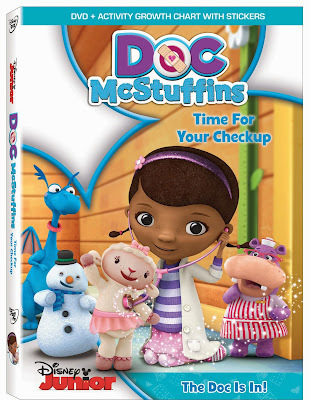 I received Doc Mcstuffins Time For Your Checkup on DVD at no cost for the purpose of this review. No other compensation was received.